Hello All! 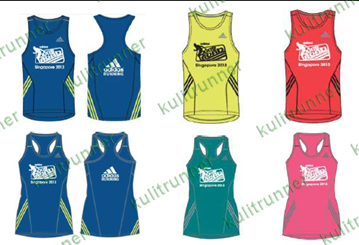 Adidas has officially released the samples of the singlet, drawstring bag and finisher’s medal that participants will be entitled when they register and finish either the 10km or 16.8km race category of the upcoming Adidas King of the Road – Philippines leg. Registration is still on-going. For more race details, click HERE. 2013 is the year of running for adidas. Last February, adidas launched Energy Boost, a groundbreaking innovation in running footwear technology featuring superior cushioning that allows runners to store and unleash energy more efficiently with every stride. To continue their efforts for all things running, adidas is back with its annual King of The Road (KOTR), one of the most anticipated races across Southeast Asia. This year, adidas is pushing the limits for KOTR to be even bigger than before as it opens a new category exclusively for students 25 years old and under. “adidas has always been an advocate of health and wellness through sports. The King of the Road is a testament to that fact,” said Jason Gervasio, Brand Communications and Sports Marketing Manager of adidas Philippines. 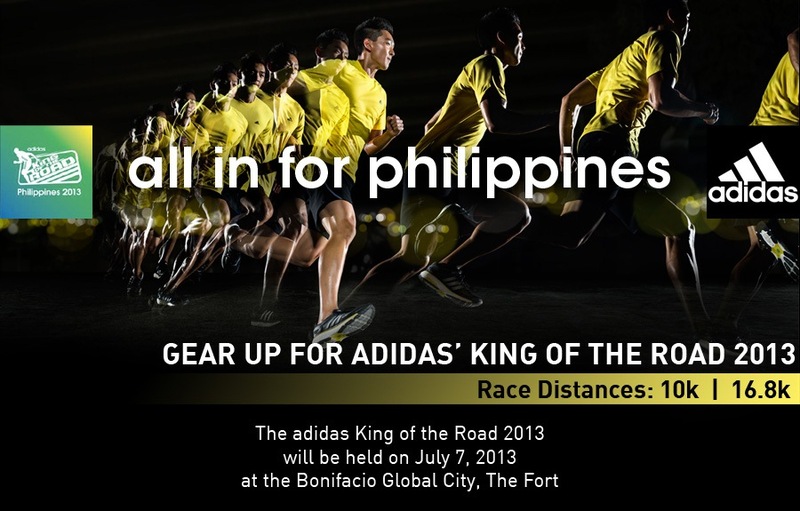 The adidas KOTR 2013 will be held on July 7, 2013 at Bonifacio Global City. Apart from the School Championship category, the race will include distances of 10K for the general public and 16.8K with Open and Closed categories. The Closed category is strictly for Filipinos while the Open category is for all nationalities. The top male and female winners from the 16.8K Closed category will be hailed as the Philippines’ King and Queen of the Road and will represent the Philippines in the KOTR Southeast Asia Championship in Malaysia. 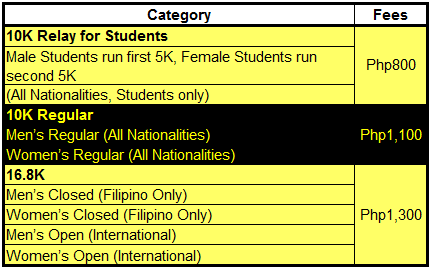 Visit http://adidaskingoftheroad.com/ph and register online by filling up all the required fields (not available for 10KM Relay for Students). Online registration is open from May 2 to June 23, 2013. Supporting this year’s race are the sponsors Summit Water, 100 Plus, Sennheiser, EO Optical, adidas Bodycare, L Timestudio, and Century Tuna. For more news, updates, and promos on adidas KOTR 2013, visit www.facebook.com/adidas or follow the conversation with #kotrph2013. *NOTE: Online registration is not available for the 10K Relay for Students. Students will have to bring a valid student’s ID to offline registration sites to sign up. Each Relay Pair must be made up of one male and one female runner. Runners may be from different schools. Registration can only be done in the offline registration booths. Runners must each bring valid school IDs to the registration booths as proof. Runners must be 25 years old or below to sign up in this category. 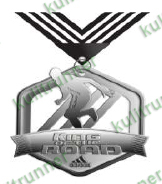 ALL participants who finish the run will be awarded a Finisher Medal at the finishing line. Runners, it’s time for you to gear up because adidas is now opening the registration for this year’s adidas King of the Road (KOTR), happening this July 7 at the Bonifacio Global City, Taguig. 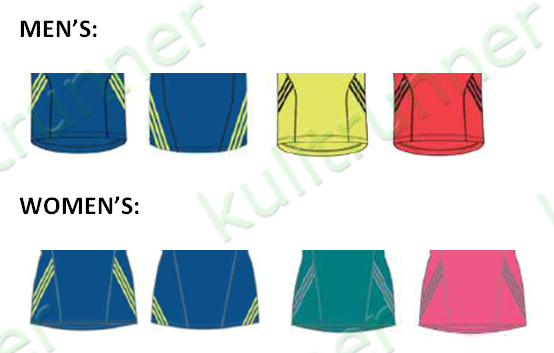 The 2013 edition of the adidas KOTR will allow runners to choose between the 16.8K and 10k race categories. The 16.8K-distance will have two sub-categories—Closed, which will be exclusive for Filipinos, and Open category for all nationalities. Male and female runners who will top the race from the Closed category will be crowned as the Philippines’ King and Queen of the Road and will represent the country in the adidas KOTR Southeast Asia Championship in Malaysia later this year. 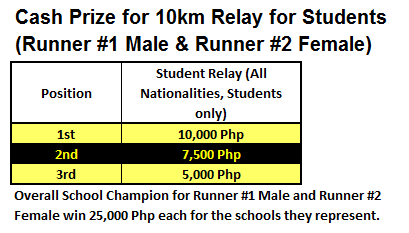 On the other hand, the 10K-distance will have an added feature this year, the Student’s Relay category. The Students’ Relay category, created to encourage the youth to lead a healthy lifestyle, will be open exclusively to college and university students 25 years old and below. One male and one female student need to partner up and form a relay team, with each running a 5km leg. The winning pair will win cash prizes individually as well as for their respective schools. The regular 10K race will still be held, which is open to all runners interested to join this distance. Prizes also await runners who will top the said categories. adidas is not only encouraging runners to compete within their countries. As part of its drive to provide the best experiences for its consumers, KOTR will once again be held in different legs across the SEA countries. To date, the first adidas KOTR SEA Regional Championship held in October 2011 culminated in Bonifacio Global City, Taguig, involving participants from Indonesia, Malaysia, Philippines, Singapore, and Thailand. The success of this multi-country race inspired the brand to make the event a regional annual tradition. Hence, the KOTR SEA Championship Year 2 was organized and held at the Gardens by the Bay in Singapore in 2012. This year, participants of the KOTR SEA Championship will get a chance to run through the streets of Malaysia. The final race will be held in October, where winners from Indonesia, Philippines, Singapore, and Thailand will be joined by the KOTR SEA Championship Closed Category participants from the host country itself. Only one winner each from the Male and Female divisions will be crowned as the adidas Southeast Asia King and Queen of the Road. Supporting this year’s race are the sponsors Summit Water and 100 Plus. For more news, updates, and promos on adidas KOTR 2013, visit http://www.facebook.com/adidas or follow the conversation with #kotrph2013. Be “ALL IN” for the Philippines and get ready for the Adidas’ King of the Road 2013! 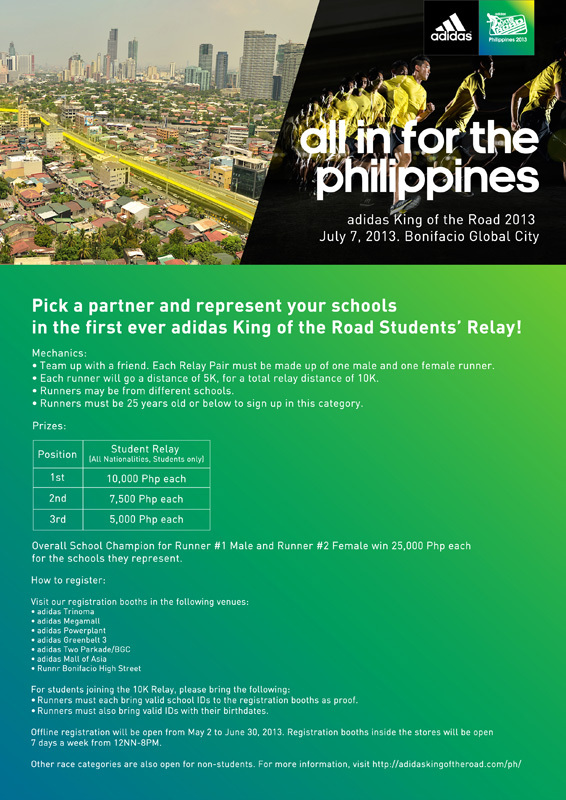 The Philippine running community can now prepare to race and be “ALL IN” as the Philippine leg becomes the debut race to open the 2013 adidas King of the Road!